But the Bihar state agricultural universities didn’t believe them at first, while India’s leading rice scientists muttered about freak results. The Nalanda farmers were accused of cheating. Only when the state’s head of agriculture, a rice farmer himself, came to the village with his own men and personally verified Sumant’s crop, was the record confirmed. 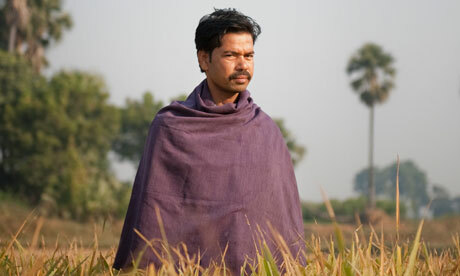 Shortly after Ravindra Kumar, a small farmer from a nearby Bihari village, broke the Indian record for growing wheat. Darveshpura became known as India’s “miracle village”, Nalanda became famous and teams of scientists, development groups, farmers, civil servants and politicians all descended to discover its secret. What happened in Darveshpura has divided scientists and is exciting governments and development experts. Tests on the soil show it is particularly rich in silicon but the reason for the “super yields” is entirely down to a method of growing crops called System of Root Intensification (SRI). It has dramatically increased yields with wheat, potatoes, sugar cane, yams, tomatoes, garlic, aubergine and many other crops and is being hailed as one of the most significant developments of the past 50 years for the world’s 500 million small-scale farmers and the two billion people who depend on them. - Dignity for All ".